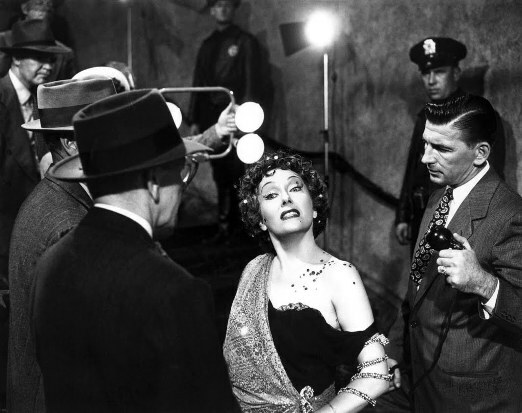 One-hundred years ago today, the proverbial close-up that silent film diva, Gloria Swanson was “ready for” in Sunset Boulevard (1950), was born. Well, at least arguably. Pioneer director, D.W. Griffith has long been credited for developing filmmaking as an art form with techniques such as the scenic long shot, and crosscutting, and for collaborating with cinematographer Billy Bitzer to create the fade-out, fade-in, and soft-focus shots. One of the most popular film innovations Griffith is recognized for is the close-up. Of course film historians disagree as to which filmmaker first used a close-up; however Griffith used the shot at length at an early date. 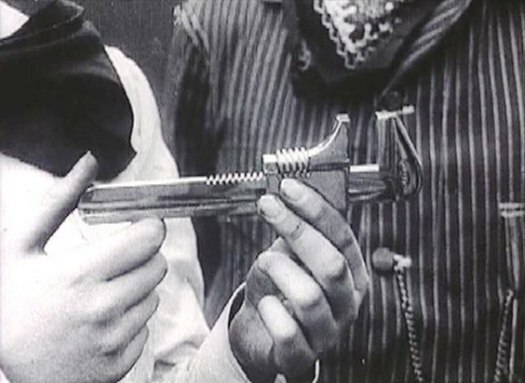 For example, one of the director’s short films, The Lonedale Operator (1911), is significant for it’s use of a close-up of a wrench that a character pretends is a gun. At the time of the film’s release, on March 23, 1911, close-ups were still uncommon and illustrate Griffith’s growing mastery of the medium. Is this shot from D.W. Griffith’s “The Londedale Operator” (1911), the first example of the close-up? The Lonedale Operator, which was written by Mack Sennett is a tale about the bravery of a pretty railroad station telegrapher, played by Blanche Sweet, who foils a robbery. The film is also an outstanding example of Griffith’s use of editing to build suspense.